Florida’s St. Mary’s Medical Center is under federal investigation for the death of nine children in its pediatric cardiac surgery program, according to CNN. It follows a report finding the program’s mortality rate nearly 10 times the national average. From its inception thru 2013, St. Mary’s program reportedly performed 48 open-heart surgeries with a 12.5 percent mortality rate, compared to the national average of 3.3 percent. 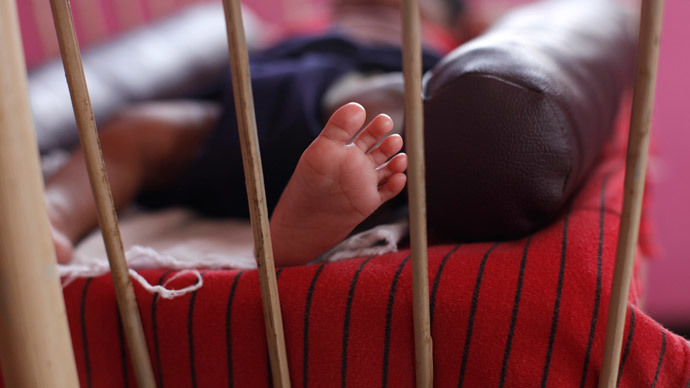 In addition to the nine infant deaths, a tenth baby was left paralyzed after surgery. The hospital maintained that CNN’s statistical analysis is flawed, but refused to provide an example of where the analysis was faulty, arguing that the mortality rate for pediatric cardiac surgery is comparable with the state average. It is not known whether the investigation was launched in response to the report, or calls from parents with questions regarding their children’s deaths. “We take these allegations very serious. CMS is actively investigating these complaints,” Aaron Albright, a spokesman for the CMS told the channel. “St. Mary’s Medical Center has not been contacted by CMS but will fully participate in any survey or evaluation by CMS,” according to a prepared statement by the hospital. The pediatric cardiac surgery program at Florida’s St. Mary’s Medical Center was launched in late 2011 with the arrival of “superstar” surgeon, Dr. Michael Blank, formerly Chief Cardiac Surgeon at the Lucile Packard Children’s Hospital at Stanford University. Pediatric cardiac surgery is very complex, involving patching up tiny heart holes, or widening vessels or aortas in infants as young as seven weeks old and weighing as little as ten pounds. Nationally 22,000 babies and children have heart surgeries per year, one in five of which will die. This is not the first time the hospital has been investigated. In April 2014, the Florida Department of Health sent a team of experts to investigate the heart surgery program at St. Mary’s, after which the head of the panel recommended the hospital stop doing heart surgeries on babies younger than 6 months. Noting that pediatric heart surgeries were very complex operations, the panel suggested the hospital was performing too few of them to become sufficiently proficient at it. In 2013 St. Mary’s carried out 23 pediatric heart procedures whereas the national average for hospitals is 100 per year.